Attention to detail - it's the one ingredient that's required for producing a flawless show. Clear Sound can provide a complete production package for corporate meetings, special events, private functions and full-scale theatrical productions. We'll help you with your planning, and with our expert guidance, your production will run smoothly. 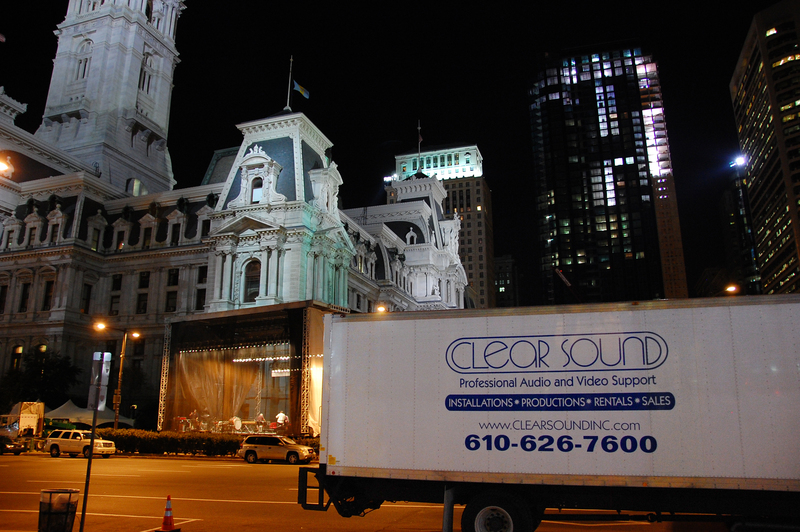 Since 1976, Clear Sound has been providing audio and video production services in the Greater Philadelphia area. Our experience allows us to anticipate and avoid the pitfalls which are sometimes overlooked in the initial planning phase. When you work with us, there are no obstacles that cannot be overcome. Our staff understands the importance of supplying unsurpassed sound and video quality, within budget and without excuses. As a result, our clients have come to rely on our services year after year for their event needs. We deliver rental equipment, offer full design services and provide all the staff to guarantee successful show operations. We are knowledgeable, experienced and focused on helping you make your event stand apart. Visit our website to see some of our high profile production work, and give us a call to find out how Clear Sound can assist you in creating the perfect experience for your audience.